The Philips Hue A19 starter kit has a customizable glow, and game sessions are more enjoyable when lights are synced to music. 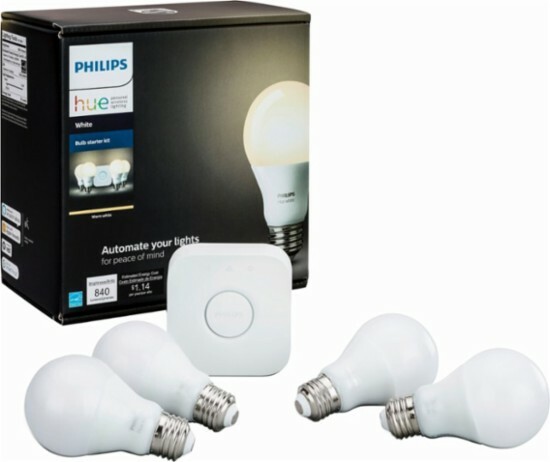 Mobile control lets you turn Philips Hue A19 starter kit's lights on or off while you're away from home. The corresponding app lets you track energy usage and get tips on energy conservation, saving you an average of 10-15 percent on your heating/ cooling bills. 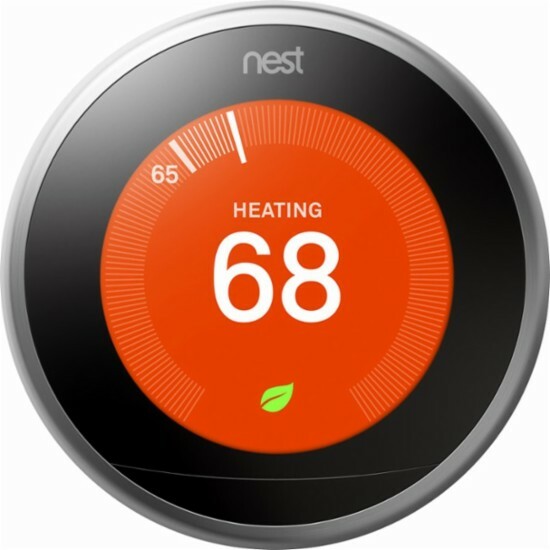 This "Learning" thermostat programs itself to adjust the temperature according to your everyday schedule. 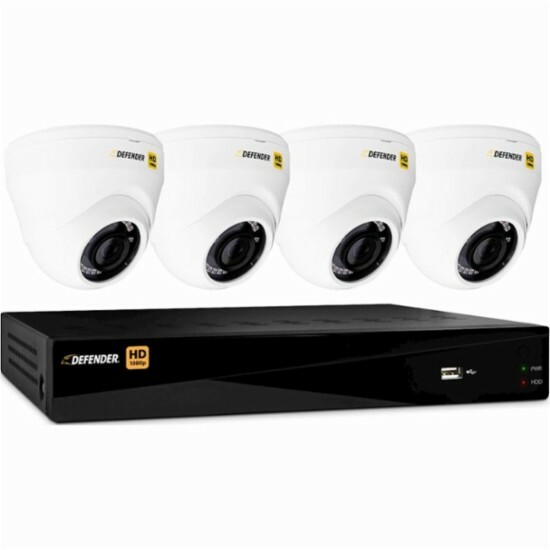 Defend your home or business from break-ins and trespassing with this Defender 8-channel security system, featuring four cameras to keep watch over your property. The 1080p HD wide angle cameras offer mobile viewing from any mobile device, so you can start monitoring from the moment you set up this Defender 8-channel security system. 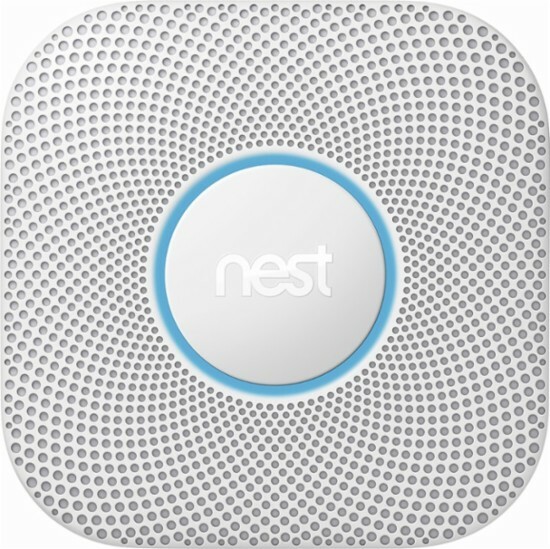 Nest Protect Smoke and Carbon Monoxide Alarm: Nest Protect reliably detects and alerts you to the presence of smoke or carbon monoxide in your home. The alarm speaks to you in a calm, clear, human voice, telling you the location of the danger. It also provides smartphone alerts and battery status updates to help protect your home while you're away. This hardwired version is suitable for homes with existing hardwired smoke or CO detectors.